Gold Bullion International or GBI enjoys the reputation of being one of the safest companies from which to purchase gold bullion and other precious metals. You can invest, store and learn about precious metal trading through a wealth management advisor or work directly with GBI through your own broker. All physical bars of gold or precious metals are stored in protected and insured vaults in Salt Lake City, London, Zurich, and New York as well as in Australia. Each investor owns the physical metal and ownership as well as metal counts are verified by an accounting firm with no direct ties to Gold Bullion International. In today’s unsteady economy precious metals and in particular gold bullion investment should be a part of any financial holdings. Gold Bullion International provides investors access to certified bullion products that are verified with the International Bullion Exchange consortium. 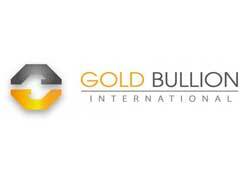 As one of the most reputable gold bullion dealers in the world, GBI is listed as a member of the International Bullion Exchange and has the opportunity to offer precious metal investors financing of up to 80 percent of the value of your gold bullion holdings. Your financed gold bullion will be held in secure vaults until the loan is completed. This significant financing and storage program is entitled the Orion Account and you can rest assured that all records are complete, accurate, and verified by an independent accounting firm. If you prefer, you can hedge your retirement with a gold IRA which protects your retirement investments through holdings of gold. As a note, the bank, accounting firm and storage facilities are not owned or managed by GBI and this provides an additional safeguard for your gold investment. If GBI should fall on difficult times, your holdings are highly secure. Gold Bullion International also offers the opportunity to sell gold bullion back to International Bullion Exchange companies anytime during the trading day. Your selling amounts will be credited to your account and you are able to continue purchasing and selling gold bullion at any time the market is open. Selling and buying precious metals and gold bullion is similar to trading on the stock market; however, your precious metals retain high margins and are not as volatile as the traditional stock exchange. The goal of GBI is to provide clients with superior customer service. The company’s repeat and referral business is advertised at over 75 percent and customer satisfaction is extremely high.